Good value when compared to rivals and very highly equipped as standard. Strong engines including V6 diesel from 2010. Well-built with a premium feel inside. Small dealer network. V6 and V8 petrol engines are thirsty. Infiniti name only recognisable to those in the know. 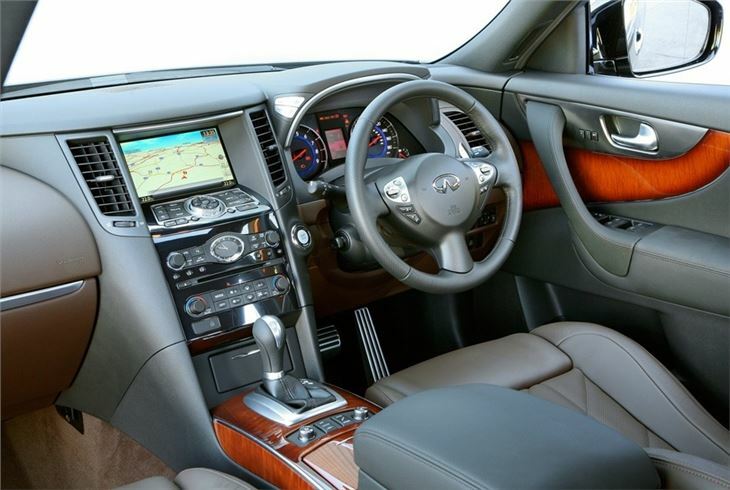 Name was changed from FX to QX70 as part of the Infiniti move to simplify its range with a new naming structure. The Infiniti FX is is the largest Infiniti that's sold in the UK but while it's a four-wheel drive, it's more of a sports offroader, so sits alongside cars like the Porsche Cayenne and BMW X6, focussing on driver appeal more that outright practicality. Initially available as a V6 petrol engine along with a monstrous V8 but the most popular model is the 3.0-litre V6 diesel that was introduced in mid 2010. It's the kind of car that some people call a "Sports Utility Vehicle" or SUV for short. The Infiniti FX definitely leans more towards sport than utility with powerful engines, great on-road capabilities and impressive road presence. Infiniti claims it blends the shape of an off-roader with the performance of a coupe - indeed the V6 uses the same engine as the excellent Nissan 370Z. Although it impresses on the road, it's left a little wanting when it comes to the utility part of its name: if you're looking for a proper load lugger, then the FX probably isn't for you. The boot is quite small for this type of car and although the back seats do fold flat for larger loads, it has little in the way of off-road capability. Inside it feels pleasingly upmarket. 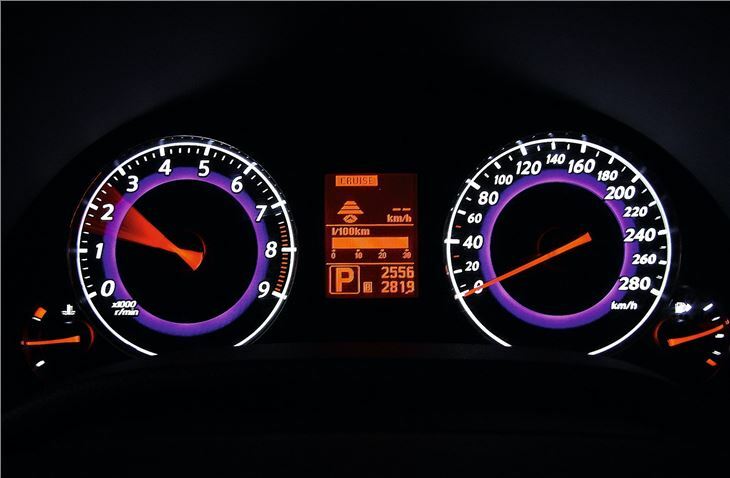 Those who are familiar with Nissans will be able to spot some of the switches and buttons from other models, but they have been combined with new, high-grade materials. The result is an interior that that combines a tasteful look with first-rate build quality. The seats come in for particular praise: they're sculpted, highly adjustable, have Bentley-style quilting on some models and can be heated and vented. They're just about as comfortable as seats get.